The Progressive Right: Why all the Controversy? I admit it. 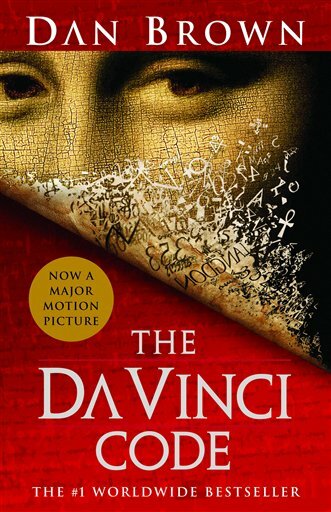 I've succumbed to the Da Vinci Code hype and I've started reading it. Granted, I waited till the paperback came out before succumbing because I'm a cheap succumber(?). In the top left corner of the back of the book is the word "FICTION". Why is there all these people trying to debunk a work of fiction? Seems to me, I can do it by finding the word "FICTION" on the back. If you do a Google search for "debunk da vinci code", there are 250,000 hits. Compare with 855 hits for "debunk bourne supremacy", another fine work of fiction with seemingly close to the truth realism (on aside, I thought the movie stank). Mainly due to the aging population currently in North America right now, there is a up surge in Fundamentalist Religion membership (Since older people tend to be more rigidly religious which is a natural fit for fundamentalism... sorry I couldn't find a nice chart that shows this simply). Couple that with the current US administration's political leveraging using Fundamentalist Religion supporters (primarily Christian) and it becomes clear that these supporters are wielding more influence than they have recent past decades. ...It is clear why they would have a strong desire to challenge anything that in anyway potentially discredits their doctrine be it fictional or not. At least that is what I think the answer to your question is.